The city dates back to the Roman times. 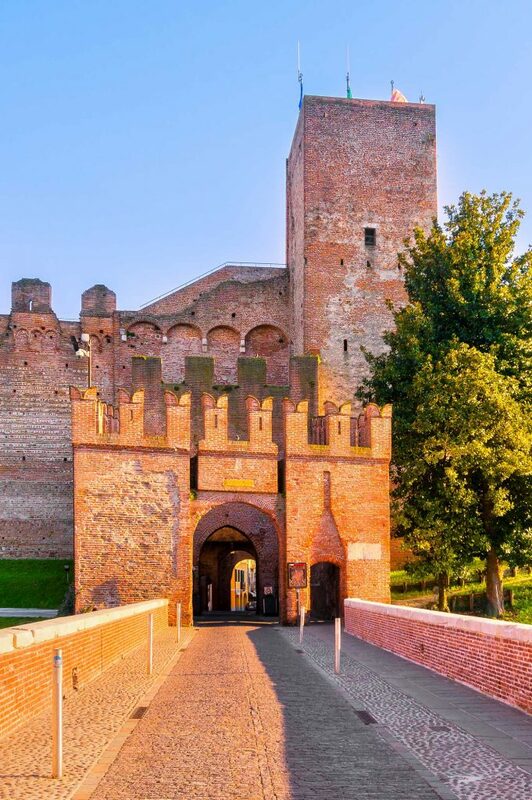 It was officially built in 1220 as a defensive garrison against Vicenza and its rival Treviso, which had built Castelfranco (a similar outpost) a few years earlier. There had always been a rivalry between these two neighboring towns. Of elliptical construction which represents the typical architectural structure of a fortified medieval borgo (village), capable of evolving from its original function into a dynamic centre of economic and commercial trade. The beautiful 14-metre high walls that protect the borgo (village) have recently been completely restored. Inside the space remains true to the original construction by two main roads (in the shape of a cross). These roads link the four entrance doors, according to the four cardinal points and give life to the neighborhoods’ characteristic streets. This is why, when walking, you have the distinct sensation of living in the past in the present; of having made a dive into history. You cannot leave Cittadella without taking a walk around the medieval parapet walkway. It is approximately 1.5 km long, the longest in Europe. 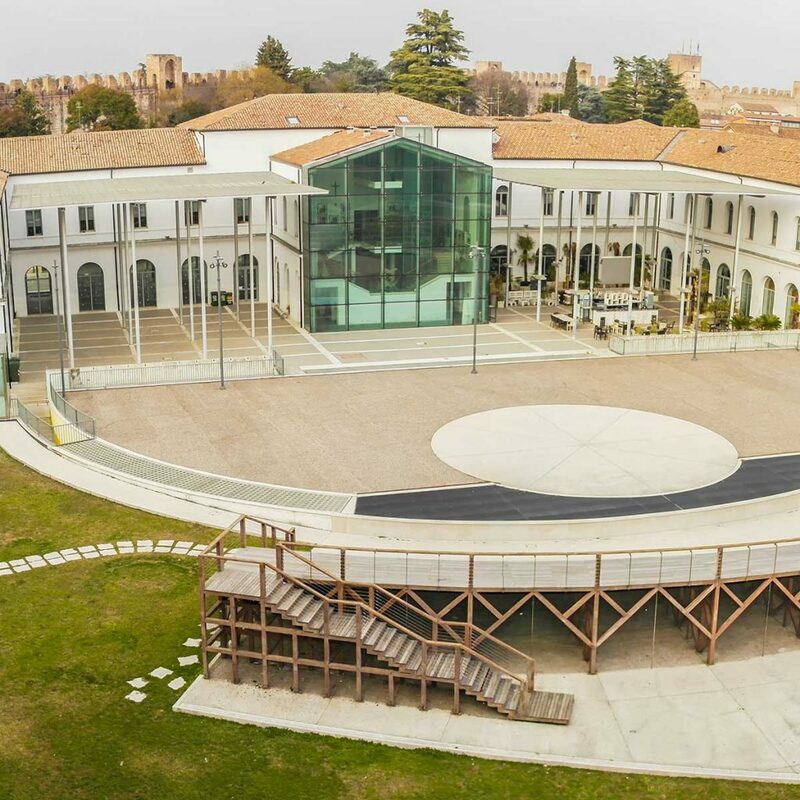 You can take the walk starting at the Captain’s House located in the Tower of Bassano. 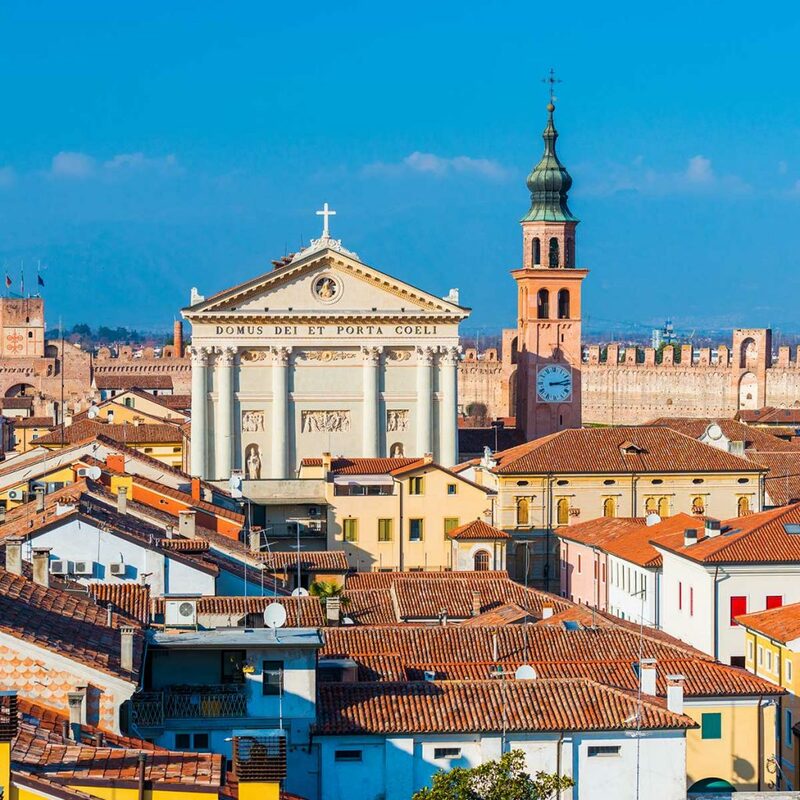 During the walk you will have a spectacular view of Cittadella and its surroundings from above. In particular, ensure you stop at the panoramic viewpoint terrace at the top of the Tower of Malta. The Tower of Malta is home to the seige museum “Museo dell’Assedio” and the Archaeological Museum, with Roman artifacts discovered in Cittadella. These artifacts must be seen. The attractions to see in the historical centre are the four entrances, each different from the other, the eighteenth-century Cathedral, the “Palazzo della Loggia”, which gets its name from the portico that gave access to the ground floor and restored in nineteenth century neoclassical style and the enchanting interiors of the theatre “Teatro Sociale”. For these walls, I would renounce the whole of London.